Freelance marketers serve the needs of different types of clients. A big chunk of them will often get opportunities to help small businesses. Most clients the consultant marketer interacts with will require these services for their small businesses. In such cases, it’s important for the marketer to have a plan. The small businesses need the marketer’s branding nous. Branding is not for big brands alone. Small businesses need it too – a lot! How can marketing brief template help freelance marketers in branding small businesses? Branding offers entrepreneurs a chance to credit an identity for their businesses. Freelancers often engage in branding too. For this reason, they are best placed to offer the exact kind of services the freelance clients crave. The identity has to revolve around the client’s core values. It also defines the core services the client’s business provides. The identity goes beyond what the business looks or sounds like. 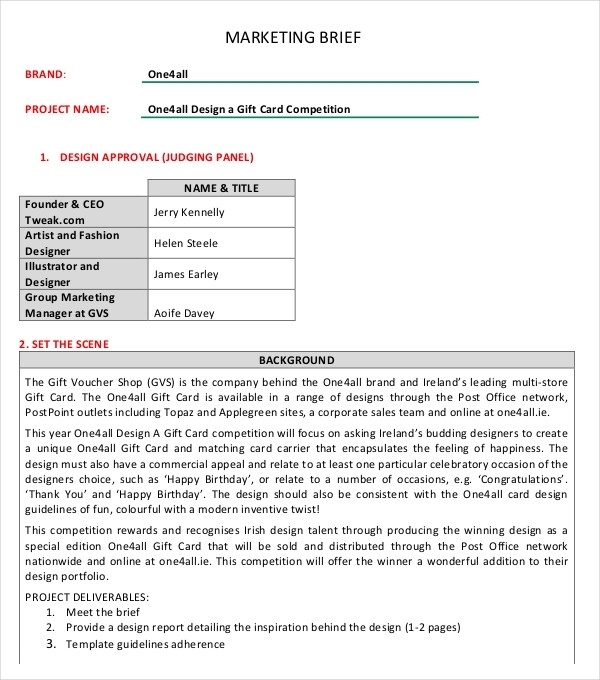 Use the marketing brief template to make the brand as personal as possible. Approach it the way you would a real person. Teach your clients to humanize their brands too. Your freelance clients are separate entities from the businesses they run. However, that doesn’t make their businesses any less ‘human’ than them. They operate with the same values, beliefs, and purposes they rely on for running their businesses. Capture these in branding. Freelance marketers have to learn how to identify the client’s business drivers. The brief has to list the conditions, processes, and resources that drive the client’s business. The best freelancers are capable of identifying these drivers and helping clients to see them too. The brief should separate the drivers into the appropriate categories: internal and external. Some clients struggle to identify their business drivers. This happens with larger firms. Branding is also a question of the relationships that sellers or service providers have with their clients. For example, freelancers become brands based on the quality of relationships they have with clients. Long-term relationships are the best for branding. Long-term relationships only occur and thrive when trust between freelancers and clients exist. Broken promises kill long-term relationships. Let the marketing brief template let your clients know that they can trust you. Creativity is the fuel that drives marketers. Consultant marketers need to be at the top of their game too. They have to help their clients to find creative ways of passing the right message across. Without creativity, the consumers that your clients serve would soon grow bored with the message. Workplace boredom can be disastrous for your consultancy. Creativity retains your clients’ interest in the message you’re passing across no matter how many times you do it. 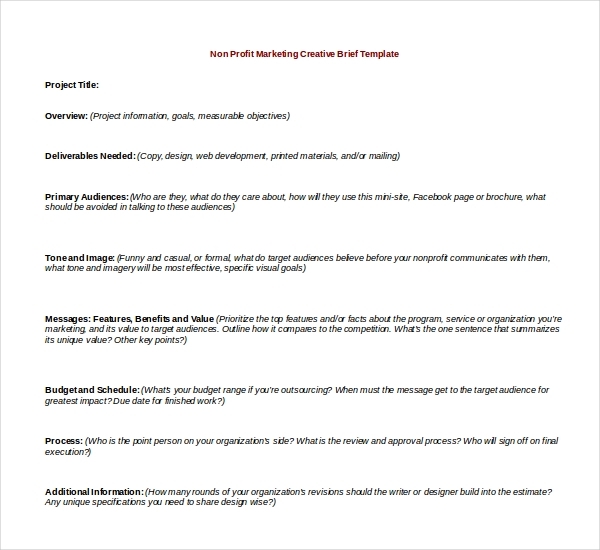 The marketing brief template has to be original for all your freelancing clients. The last thing you can do is to copy and paste the same strategy with all clients. A one-size-fits-all approach never works. Each client’s business has unique attributes and faces situations that are different from the competitors. For this reason, fill the template with original ideas, thoughts, strategies, and plans. The solutions should be customized for each client too. Lastly, try to be as bold as possible. Your clients will love you for the innovation and daring attitude you bring to the table. Your freelancing marketing services will be highly sought after once you demonstrate to your clients that you know what you’re doing. Use these strategies – and the marketing brief template – to touch and capture the hearts and minds of your customers who need your branding expertise, especially those who run small businesses.